Healthcare in Syria is in crisis. Over half the country’s public hospitals and health centres are closed or only partially functioning and more than 11.3 million people need health assistance, including 3 million living with injuries and disabilities. Human Appeal has been supporting the Al Imaan Hospital in Syria since 2015. This year alone, we have helped care for 19,523 children and 15,042 pregnant women. We’ve helped deliver more than 1,930 babies and 389 caesarean sections. We’ve also helped to screen 32,387 children for malnutrition and continuously suppled life-saving equipment. Our Winter Appeal 2018 will include the support of the Al Imaan Hospital and thousands of Syrians in need. £200 per month could help provide lifesaving community healthcare services for 300 people. £500 per month could provide 24 hours emergency healthcare services through operating incubators and supporting paediatric wards for 500 children. 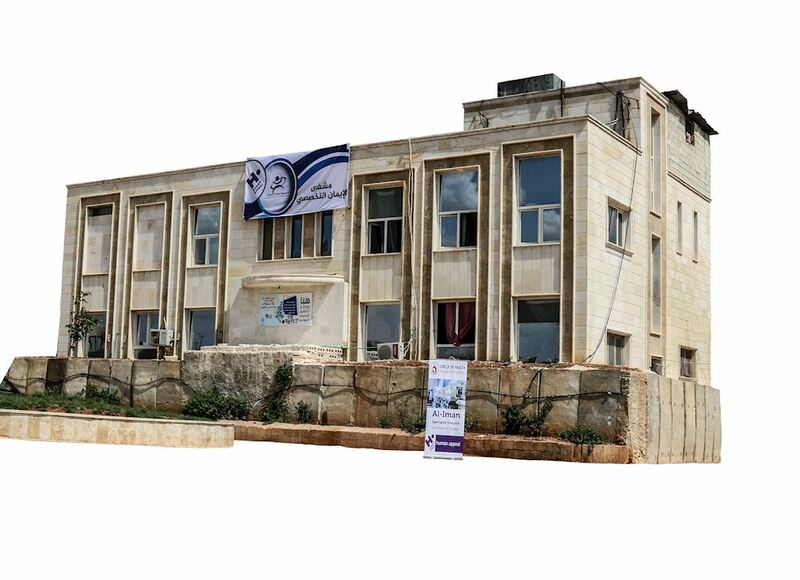 £1,000 per month could help operate the outpatients’ clinic at the primary healthcare centre in Aleppo for 1,000 people. £1,200 per month could help provide continuous lifesaving gynaecological services for 1,500 women. For many vulnerable Syrian families, winter is the hardest month to bear. It is vital we do all we can to support the health situation in Syria at this extremely challenging time of year. Please be a lifeline - support our Syria Winter Appeal today.